Hamilcar Publications is the book publishing division of Hannibal Boxing. We are a unique team, based in Boston, that is dedicated to producing the finest boxing books available. 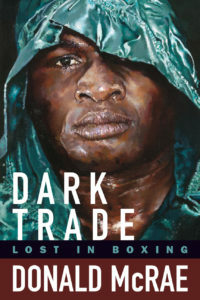 We love boxing and books in equal measure and our aim is to share that passion with book buyers worldwide. The principals of Hamilcar Publications, and Hannibal Boxing Media, are Kyle Sarofeen and Andy Komack. 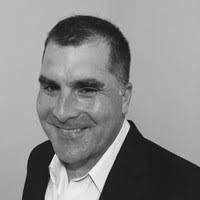 Kyle has worked in the book publishing industry in the Boston area for over fifteen years for companies such as Houghton Mifflin Harcourt, Quarto, and Pearson. His background is mainly in interior production and book manufacturing. At Houghton Mifflin Harcourt he was the lead buyer for the Curious George series, and at Quarto he was in charge of manufacturing for two imprints. He also did a stint in Pearson’s marketing department. Other highlights include being selected as a jury member for the New England Book Show, and doing an editorial internship with the prestigious boutique publisher Shambhala Publications, which is where his career started. His passion for boxing started when he watched Marvin Hagler fights as a teenager growing up in Massachusetts in the eighties. In addition to his experience in the book business, he has an MBA from the University of Massachusetts Lowell. 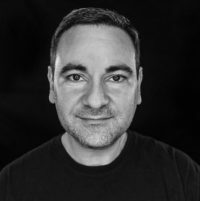 Andy has spent the past twenty years helping entrepreneurial companies with their digital marketing strategies and strategic partnership development. He founded and ran a digital marketing agency, which he sold to his partner in 2007 (www.komarketing.com). After the sale of the agency, Andy worked with some of the most entrepreneurial companies in the Boston area, including DraftKings, where he created over forty partnerships with some of the most-recognized brands in sports—five NFL teams, twelve NBA teams, fourteen NHL teams, five MLS teams, as well as other sports marketing partnerships that added value to DraftKings’ unique brand of fantasy sports gaming. He has an MBA from Babson College, the number-one school in the United States for entrepreneurial studies. Enjoy the articles on our boxing blog.